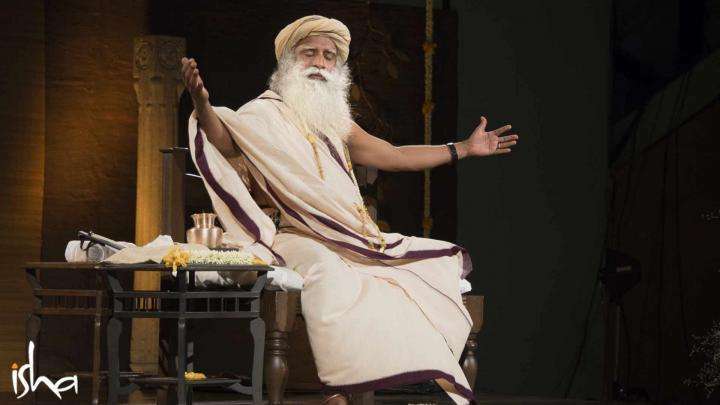 Sadhguru narrates a story that a Zen master told his disciples. Then the master asks, “What is wrong with this story?” The disciples missed the point, but can you find out? Story: In a Zen monastery, the disciples had gathered around the master. "Please listen to the story I am going to tell you attentively," said the master and started his narrative. "Once when the Buddha was sitting with his eyes closed, he heard someone screaming ‘Help! 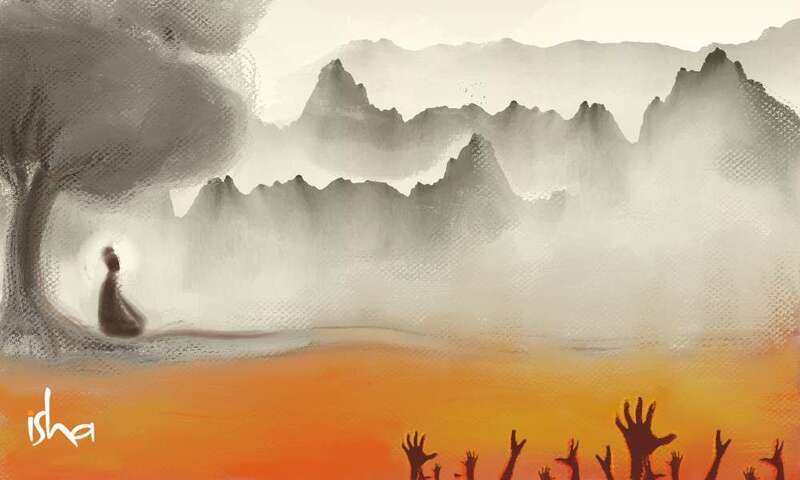 Help!’ He realized that it was the voice of a man who had fallen into the pits of hell and was suffering there. The Buddha realized that this punishment was given to him because he had committed many murders and thefts when he was living. He felt compassionate and wanted to help him out. He looked for some good deed the man had performed when he was living. The man had once carefully avoided stepping on a spider while he was walking. Buddha asked that spider to help the man. The spider sent a long strong thread into the pit, the type that it uses to spin its web. The man caught hold of the thread and started climbing up. When the others who were suffering their punishments tried to climb up using the same thread, the man got anxious. "This thread has been sent for me. If so many people try to climb on this, the thread will break!" he shouted angrily. That very moment the thread broke and he fell into the pit again. The man started screaming, "Help, Help!" again, but this time Buddha did not pay attention to his cries. The master stopped the story here and asked, "What is wrong with this story?" One disciple said, "The thread of a spider does not have the strength to carry a man." "There is no such thing as heaven and hell," said another. Another disciple said, "When Buddha was sitting with his eyes closed and meditating he must have heard some other sound." "All of you have missed the important thing," said the master with a smile and got up and walked away. 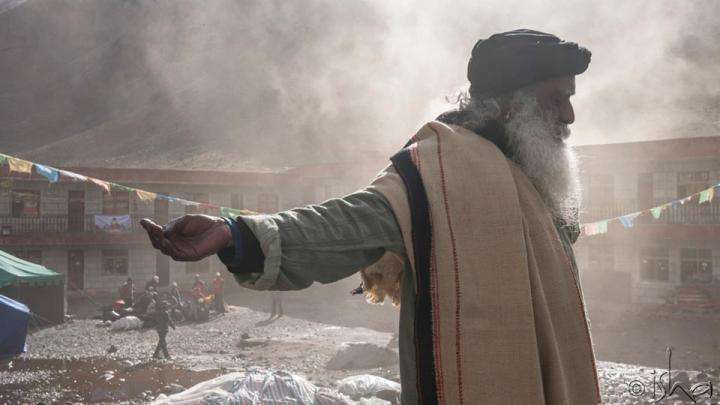 Sadhguru: True compassion will not choose. The moment someone thinks, "Let me be compassionate to this person.” Then later, “That person is not worthy of my compassion," then it is not fit to be called compassion anymore. There can be choice in helping someone, but there can be no choice with compassion. If the Buddha wished to save someone who was suffering in hell, he would not have changed his mind because of one selfish act committed by that person. A true enlightened master will not hesitate to show compassion when there is such a need and a possibility. Virtue and sin, good and bad, have all been written down according to morals. Compassion is beyond the reach of morals, laws, and beliefs. Compassion cannot be doled out to one person and denied to another. What the Zen master told his disciples was a moral story which somebody had made up. The moral of the story is that even the Buddha will not save a selfish person who is not concerned about others. This story had been created to fix society and influence people’s actions. A true enlightened master will not hesitate to show compassion when there is such a need and a possibility. Only someone who has evolved to total freedom within himself and gone beyond the compulsions of selecting and rejecting can be a Buddha. Only someone who is blissful can be compassionate. One is called a "Buddha" because he is in a blissful state beyond his buddhi or intellect. Some religious fanatics have fabricated these moralistic stories with the intent of spreading Buddhism like other religions. That is why the Zen master points out that there is a flaw in the story. Editor’s Note: Read this article, where Sadhguru explains what Zen is and how it came to be such an effective means towards the Ultimate. Sadhguru on the differences between love, passion and compassion, and on moving from conspiracy to inclusion.